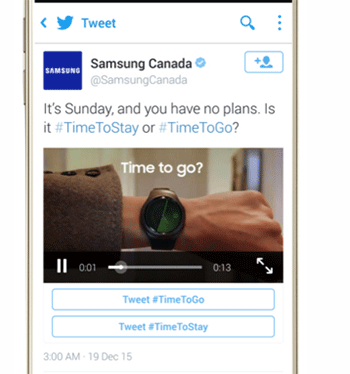 On Tuesday, January 5th, Twitter announced a new ad format in their advertising suite called Conversational Ads. In short, these new ads will make it easier for consumers to engage with your brand and spread your campaign message. This is an exciting addition to Twitter Advertising, but if you are new to the social media advertising world, you may not know all of your Twitter ad options. 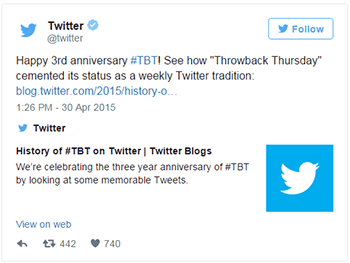 Over the last year Twitter has struggled with a slowing user growth rate. So they have doubled down on their Twitter advertising efforts, and it has paid off. 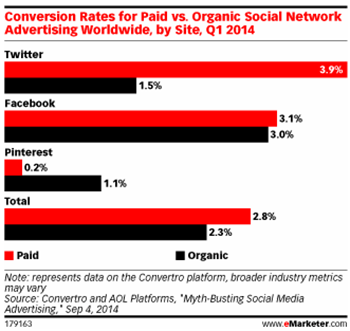 Twitter ads are more than twice as likely as organic tweets to convert users, and paid ads generate leads at one-third the cost of other marketing channels. 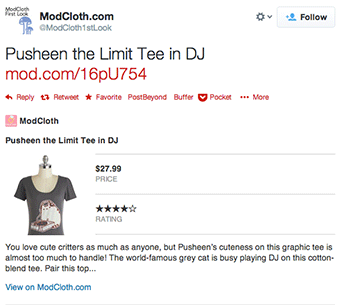 There are three high-level ways to price and promote your tweets. Promoted Tweets: Similar to a Boosted Post on Facebook, where you add a few dollars behind a favorite piece of content to get more eyes on your tweet. Promoted Accounts: Includes a short description about why someone should follow your account and provides an easy button to “Follow” you within the tweet. 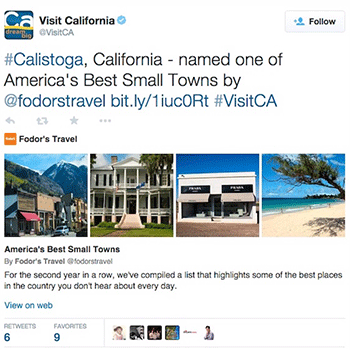 Promoted Trends: Sends your hashtag to the top of the trending hashtag list in certain locations. This is probably one of the most expensive options and will only be provided as an option if it fits within the monthly budget you shared with Twitter. 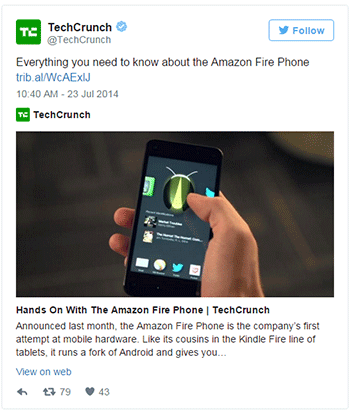 There are now nine types of Twitter ads that can help you reach your small business goals. With the introduction of Conversational Ads, we thought it would be a good time to reflect on all of the ads available in Twitter’s offering. This way when finalizing your social media marketing strategy for 2016, you can make educated and effective decisions about allocating your marketing budget. 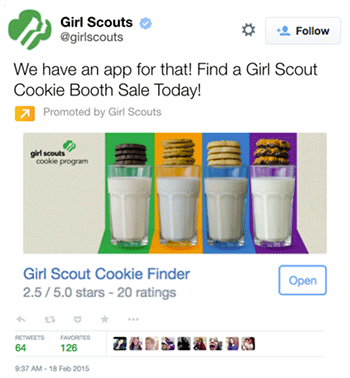 Brands that have a mobile application will use this type of ad to drive app installs. When users click on this ad, they will be taken to the app store for download. This app offering includes space for a title, description, icon, and app rating or price. The app card is compatible with iPhone, iPad, and Google Play apps with approved app ID. 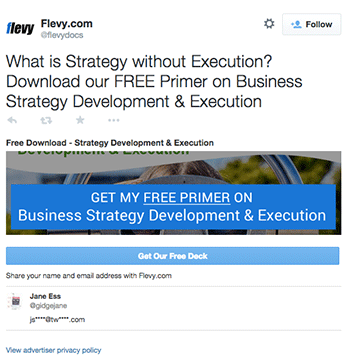 Businesses that want to collect highly qualified leads on Twitter will use this type of ad to capture email addresses to grow their database. Now called the “Summary Card with Large Image,” the Photo Card allows you to put a full-width image, title, description, and link alongside your desired tweet. Clicking on the image will take the user to your website, as opposed to the organic tweet which expands the image to a full-screen version of your tweet. This type is ideal for increasing web traffic for campaigns that rely on visual content. This type of ad is similar to the Photo Card, but allows your brand to showcase a variety of products or images from your website to give them a preview of what they will find when they click through. Businesses trying to increase web traffic will use this type of ad to send users to any website or landing page they desire. The card has space for a horizontal image, text, link, and a call-to-action button for impressive results. A place for music, video, or GIFs you want to share as part of your marketing campaign. This is one of the most effective cards which encourages users to watch, listen and click-through to your content. We like to refer to Summary Cards as the “Sneak Peek Cards.” As an organic tweet, these usually come up in a search when the user has only included a link in addition to their text – almost like a “default” tweet. It includes a title, description, thumbnail image, and direct link to your content. This is the best ad option for retailers. Product Cards let you show off your products with space for an image, description of up to 200 characters, product details, and price or stock availability. We left the newest ad for last since it really builds off of the formats we have already described. Taking promoted tweets to a whole new level, Conversational Cards will show a call-to-action button with customizable hashtags. 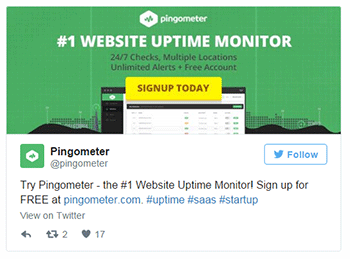 By clicking on the button, a pre-populated message designed by your brand will pop up for the user to tweet and help continue the conversation YOU have started. What you will notice about all nine cards is that they have specific goals they will help your small business achieve. Therefore, Twitter has created Objective-Based Campaigns in beta to direct you to the appropriate card for your goals much quicker. This process should sound familiar *cough* Facebook Advertising Objectives *cough*, which makes it even easier to understand and use when you try this type of advertising out in 2016! This article was written by Deanna Zaucha from Business2Community and was legally licensed through the NewsCred publisher network.